Our professor Dr. Cyrille A.M. Krul together with co-authors was awarded best article in the year 2016 in the scientific journal "Food and Chemical Toxicology"
A new strategy for food and food ingredients safety assessment is presented in a roadmap format. The usefulness of this roadmap was evaluated in four case studies using literature and existing data. Recommendations for stakeholder parties in the area of safety evaluation are proposed. A more comprehensive evaluation of the roadmap, including the need for in vitro experimental work, is recommended. Blaauboer BJ, Boobis AR, Bradford B, Cockburn A, Constable A, Daneshian M, Edwards G, Garthoff JA, Jeffery B, Krul C, Schuermans J. 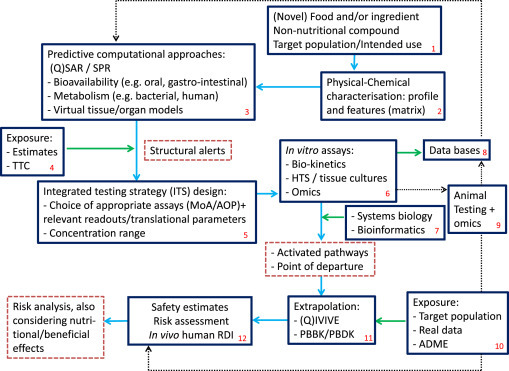 Considering new methodologies in strategies for safety assessment of foods and food ingredients. Food Chem Toxicol. 2016 May;91:19-35. doi: 10.1016/j.fct.2016.02.019.